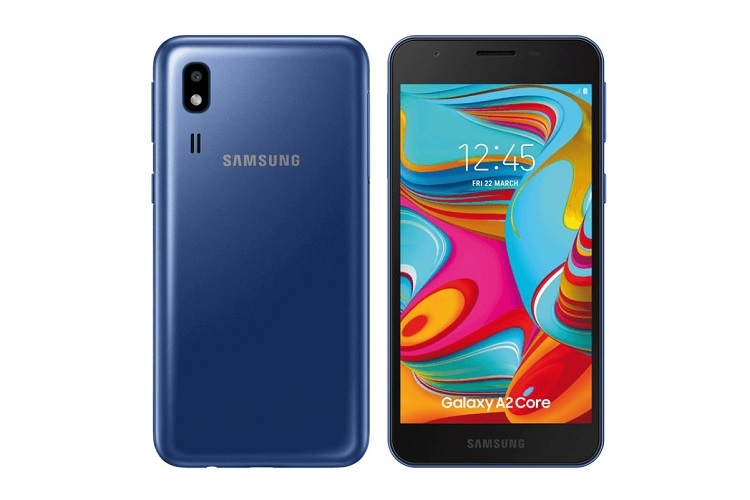 In India, Samsung just launched its newest Android Go Edition smartphone – the Galaxy A2 Core. The Galaxy A2 Core is an entry-level device that runs on Android 9 Pie Go Edition to allow users pack it with lighter apps. The handset features a 5-inch panel with an underwhelming qHD 960 x 540 resolution. Under the hood, it is powered by Exynos 7870 octa-core processor clocked at 1.6GHz and is paired with Mali-T830 MP1 graphics. Samsung also coupled it with 1GB RAM and 16GB expandable storage. Moving on to its photography department, the Galaxy A2 Core comes with a 5-megapixel main shooter and another 5-megapixel selfie snapper. Keeping the fun running, on the other hand, is a 2600mAh battery. The Samsung Galaxy A2 Core is now available in China for INR 5,290 or roughly at Php3.9K.